The twinkling icicle lights have been hung, the ornaments are draped perfectly, and I’m sitting by the tree. It’s divine. It’s also a pretty clear indicator that it’s full-on festive time. Every year, I try my hand at a new Christmas project or two. 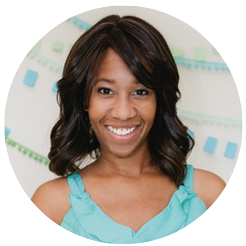 This year, I’m all about maximizing wall space, because my floor space is all spoken for. 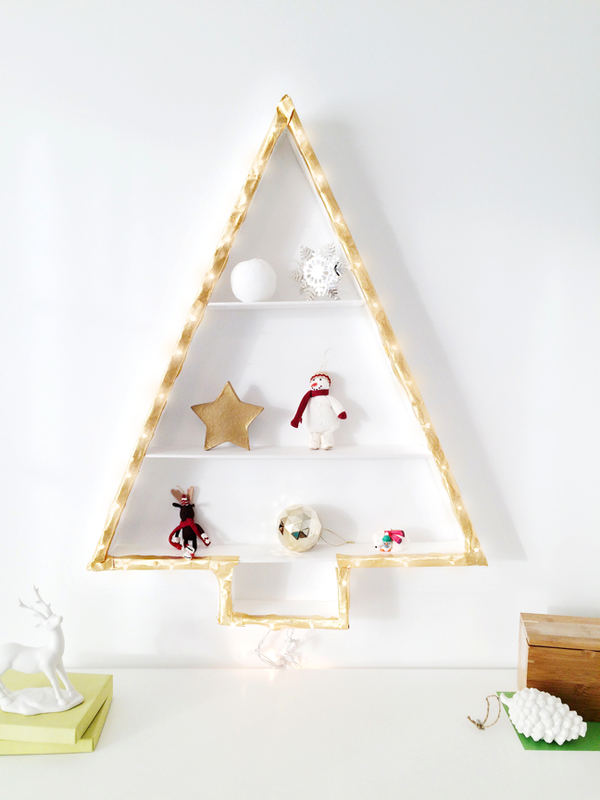 This DIY wall light Christmas tree is the ultimate space-saving, cost-cutting Christmas decor. It looks great during the day, all bright white and gold, but it’s also a stunner at night. Forget tiny nightlights. 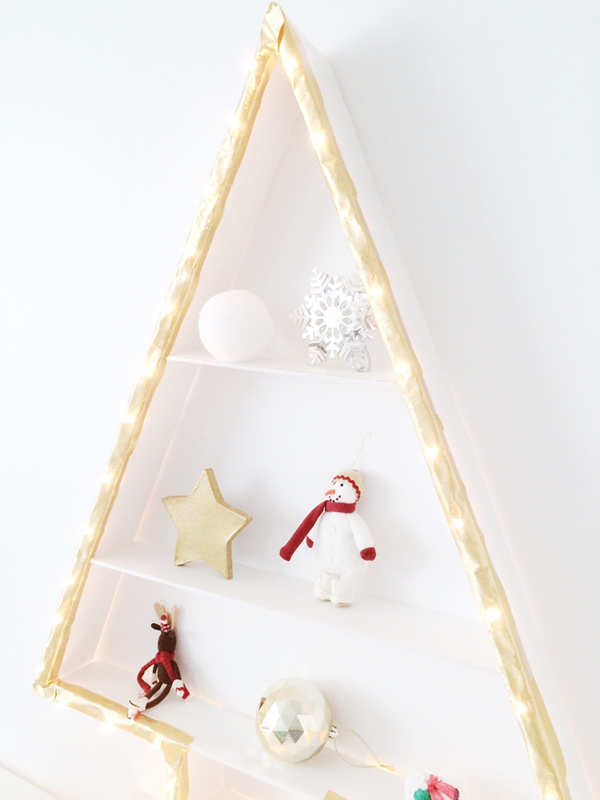 The kids will dream of all things merry and bright as they snooze under the soft glow of these lights. Step 4: Align the 75 cm foam board piece outside of one side of the tree to create a foam-lights-foam sandwich. Using shipping tape, tape the sandwich together at each corner. Repeat this process around the stump of the tree, leaving a small gap in the middle to allow the light strands to trail beneath the tree and eventually plug into the wall. 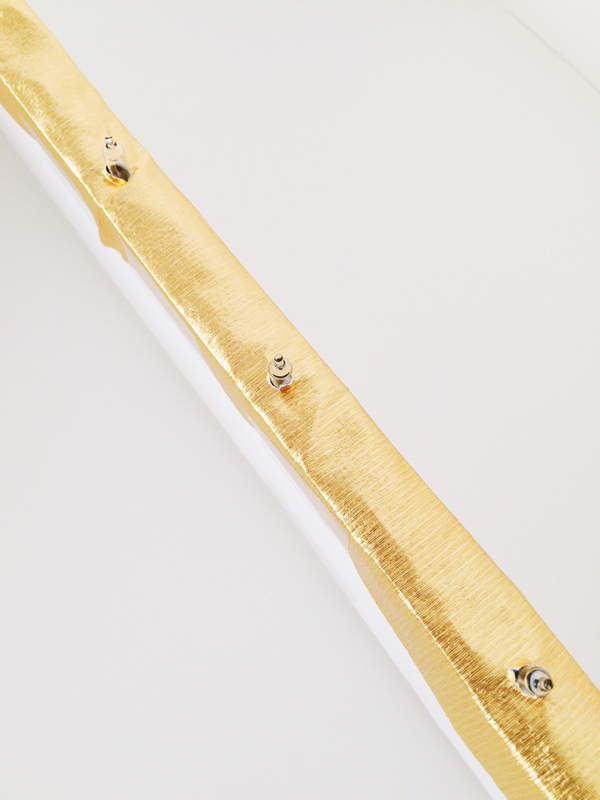 Step 5: Position the centre (width-wise) of the gold streamers over the row of lights. Gently press the streamer down onto the lights, creating small holes down the center of the streamer. 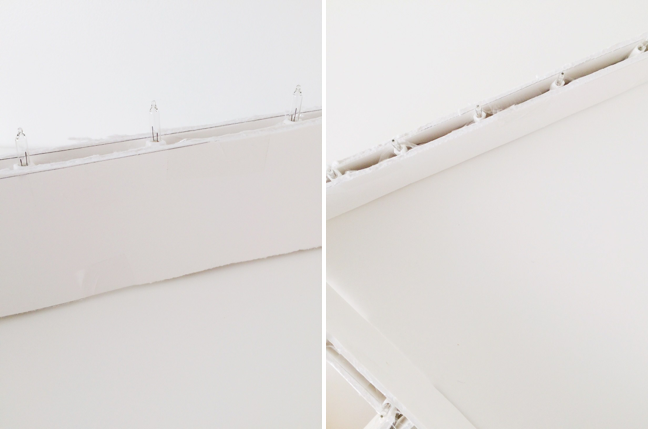 Use small pieces of double-sided tape to secure the streamer onto each side of the foam-lights-foam sandwich. Repeat around the entire perimeter of the tree. Step 6: Measure the height of the various trinkets you want to display to determine the necessary height for your shelves, and cut 8 cm wide pieces of foam board to the appropriate length to fit snugly within the body of the tree at that height. Adhere the shelves to the tree’s interior using hot glue. Set aside to dry.